MOAB, UTAH - JUL 2015: Hole in the Rock Moab drive POV 4K. Point of view. Home carved into solid red sandstone mountain. Tourism stop including a souvenir shop, trading post and exotic animal zoo. 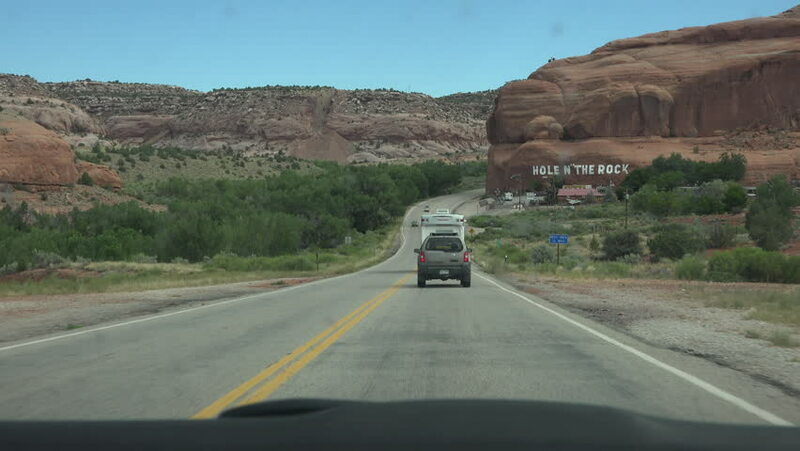 4k00:28MOAB, UTAH - JUL 2015: Moab red rock desert drive POV 4K. Arches and Canyonlands National Parks. Red rock recreation, hiking, bike and off road, jeep 4x4 fun. Desert mountain landscape. Point of view. hd00:25Car Driving On Mountain Highway With Tunnels. POV. 4k00:24ZION NATIONAL PARK, UTAH - JUN 2014: Parking overlook Zion National Park Utah. Famous natural red sandstone rock mountains. Located in Southwest Utah near St George. Formed by the Virgin River.